Holi-Nails: Glitter All The Way! Today's nail art is pretty, sparkly, and the perfect excuse to make a mess. 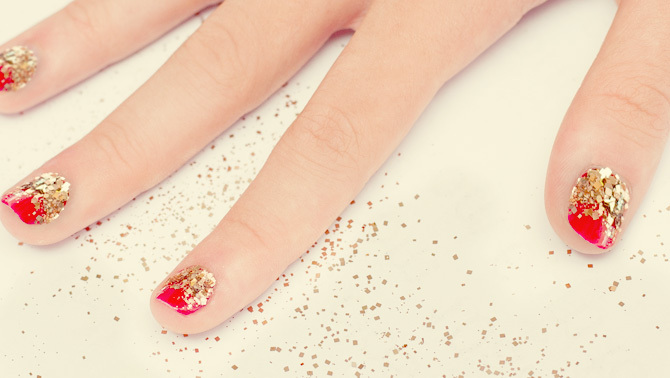 It's no secret we're obsessed with glitter, so we decided to have a little fun with it on our nails. The results? Spark-tacular! Ready to try this textured nail art today? Step 1. Apply a coat of red nail polish. Step 2. Now go make a mess and sprinkle the glitter on your nails. Tip: Don't wait for the polish to dry completely, so the glitter sticks better. Step 3. 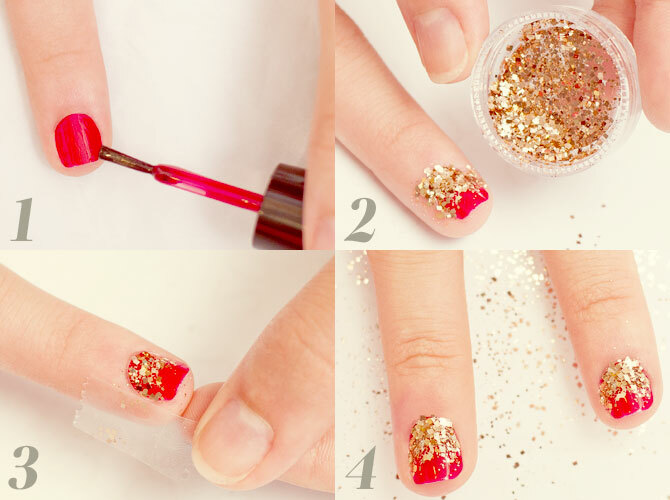 Remove the excess glitter around your nails using tape. Step 4. Apply top coat and ta-da! Don't have time to do this on your own? Head on over to I Do Nails in Eastwood to get customized nail art—no matter what the occasion is. Don't forget to like them on Facebook, and follow them on Twitter and Instagram!